Some pictures in the collage are from Google Images (Images 1,2,3,7,8,9) Images in the middle row were taken using my Blackberry. The picture of Button and Hakkinen are for me and the middle picture is for my friend Mina. I hope she will be stoked when I hand it over to her. To cap off the Philippine visit of Mika Hakkinen, Johnnie Walker Responsible Drinking Ambassador, Johnnie Walker Philippines and Diageo hosted an intimate and exclusive cocktail party at Red, Makati Shangri La Hotel. Diageo is the world's leading premium drinks business with an outstanding collection of beverage alcohol brands across spirits, beer and wine. These brands include Johnnie Walker, Crown Royal, J&B, Windsor, Buchanan's and Bushmills Whiskies, Smirnoff, Ciroc and Ketel One Vodkas, Baileys, Captain Morgan, Jose Cuervo, Tanqueray and Guinness. The party was attended by Mika Hakkinen and his entourage, Diageo employees, press people, bloggers and invited guests. 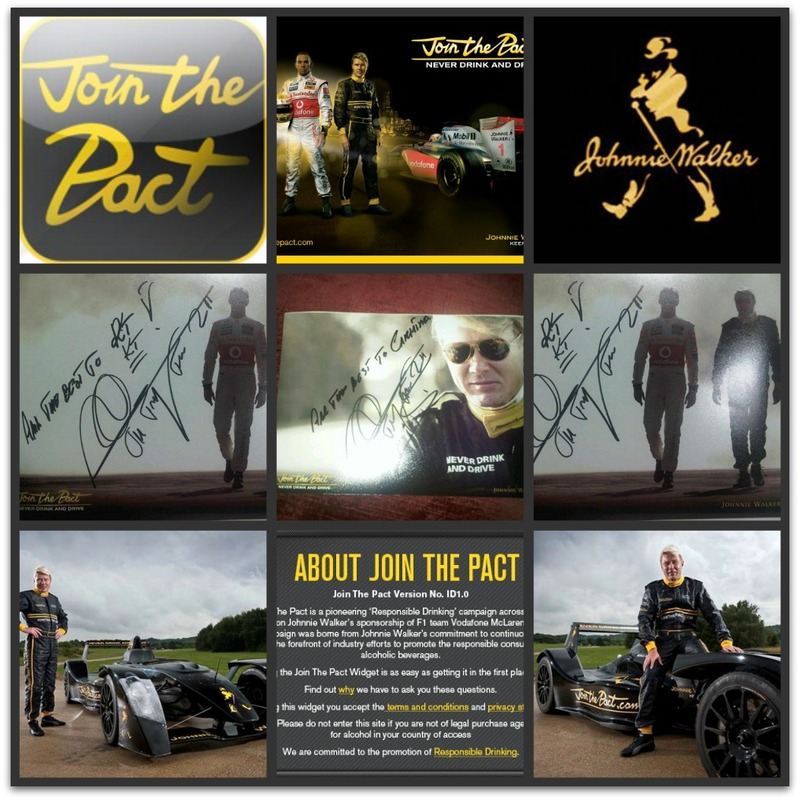 The former two-time Formula One World Champion arrived in Manila on November 4 and attended a slew of activities as part of the Johnnie Walker Join The Pact campaign. The campaign is a worldwide interactive responsible drinking initiative. 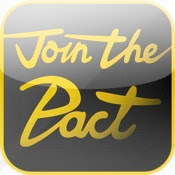 The campaign encourages every consumer to visit www.jointhepact.com to add their signature to a global pledge to NEVER DRINK AND DRIVE. The Join The Pact campaign, as its core, leverages the Johnnie Walker sponsorship of the Vodafone McLaren Mercedes Formula One team, and specifically the relationship between three Formula One Icons: ex-McLaren double World Champion Mika Hakkinen and former Formula One Would Champions Lewis Hamilton and Jenson Button (Oh, I am praying JWP will bring Jenson Button or Lewis Hamilton to the country too soon!). The three represent two generations of Formula One and are the public faces of the campaign. The event was hosted by Pia Boren and cocktails and hors d'oeuvres were served. I was so bummed out that I cannot drink anything with alcohol as I was heading for work after the affair. It took a lot of self-control because I am still craving for the Whiskey Sour until this very minute. Diageo gifted Mika with silver and pearl encrusted cuff links and his girlfriend, Marketa Kromotova received a shawl made of piña cloth. Before the party ended, Mika signed pictures and merchandise for the guests. I got a picture signed for me and another picture signed for my friend Mina who was not able to attend the event. I was genuinely on fan girl mode that time. Not only have I joined the pact, I also crossed out one item in my bucket list. Yay!